I am creating a poster. 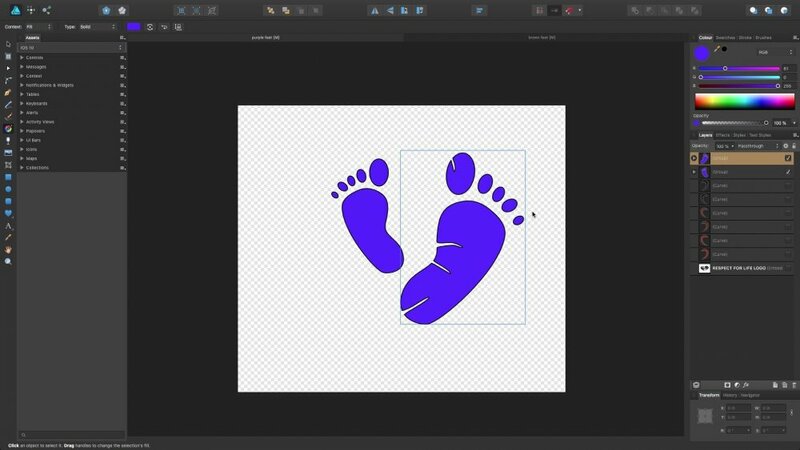 I am using affinity designer to create footprints and Affinity publisher to create the text. I have set the colour pallette at the same levels yet the colours do not match. Not sure if I am doing something wrong or not. I checked the RGB values of the purple in Publisher 80,0,255 then I set the fill colour to the same value in Designer 80,0,255. I could tell the colours were off. When I placed the Designer picture into the publisher document, the colours look the same but when printed they are not the same. when I checked the RGB colours in Publisher the values had changed to 85,86,163. The file is embedded. 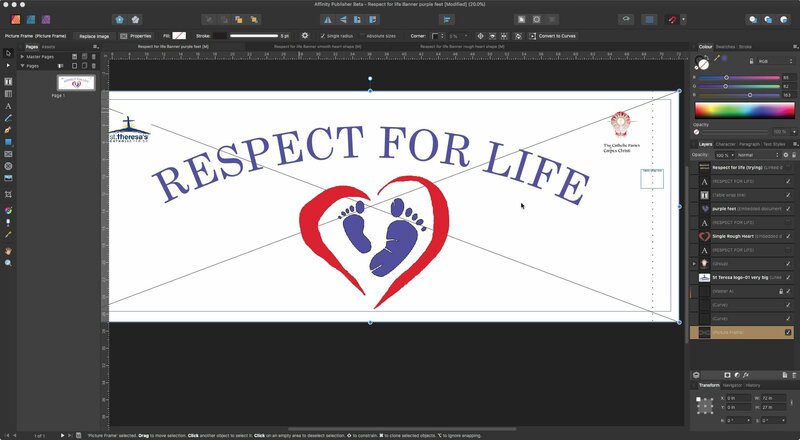 If I double click and open just the Designer picture in Publisher the RGB values say the purple of the picture are 80,0,255, yet again they look an obvious different colour. Your Designer document is set to an RGB colour space, however your Publisher document is using a CMYK colour space. CMYK has a far smaller range of reproducible colours (gamut) than RGB has, so when some highly saturated colours are placed inside a CMYK colour space, they often look far more muted and less saturated.